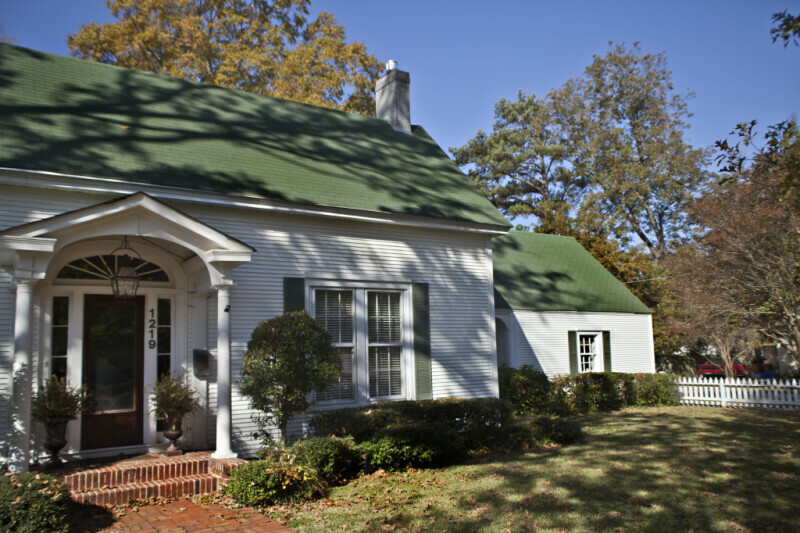 The house at 1219 Jackson Street has a steeply-pitched, green, side-gabled roof. This house was built in 1870, by Captain R. A. Johns. The house appears to be covered with siding that simulates wood lap siding. There is a cement chimney at the apex of the roof.